The District Court ruling says GM had to have been aware of defective cooling system. A lawsuit filed against General Motors by a group of disgruntled Chevrolet Corvette Z06 owners has been given the green proceed in court after a federal judge reviewed the case. United States District Judge Victoria A. Robert for the Eastern District of Michigan ruled on Friday that "it would be implausible to infer that GM was not aware of the car’s alleged defective cooling system as a result of its testing.” This according to a statement released by the law firm of Hagens Berman Sobol Shapiro LLP, which is representing the plaintiffs in the class action. Showing just how slowly the wheels (of justice in this case) can turn, the origins of the lawsuit date back nearly two years now to June of 2017. 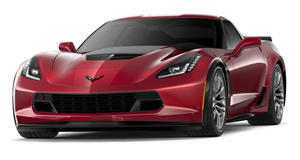 According to the complaint, a defective cooling system in the 6.2-liter supercharged V8 engine powering the 2015-17 Chevrolet Corvette Z06 is prone to overheat, causing the vehicle to enter a protective "Limp Mode” after 15 minutes of driving on the track. Hagens Berman alleges that GM knew the vehicles weren't up to the task, and marketed them as track-ready anyway. It's seeking monetary damages as well as "injunctive relief” on behalf of some 30,000 owners under various state laws. "Accepting as true Plaintiffs’ allegations, the Court finds that Plaintiffs plausibly allege their cars are not fit for the ordinary purpose of providing safe and reliable transportation on public roads and safe and reliable use on race tracks,” Judge Robert determined, granting judicial authorization for the lawsuit to proceed. The law firm is encouraging owners of 2015-17 Corvette Z06s to come forward. "We believe those who purchased the affected Corvette Z06 so-called ‘track cars’ were severely shortchanged and GM owes them answers after failing to live up to deliver on the racecar hype it created,” said Hagens Berman managing partner Steve Berman.